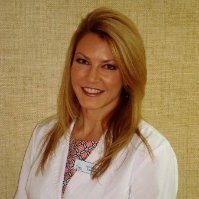 Cynthia Elliott, M.D., has practiced medicine in the Tampa Bay area since 1990, opening Skinspirations, a practice devoted exclusively to cosmetic medicine, in 2005, & her cosmetic medical training company, ExpertEsthetics, providing hands-on training, in 2008. Originally residency-trained & board certified in emergency medicine, Dr. Elliott has over 15 years experience in the practice of emergency medicine and over 13 years practicing aesthetic medicine exclusively. She has performed more than 11,000 Botox Cosmetic treatments, more than 10,000 injectable facial filler treatments, & over 600 laser resurfacing treatments, which is more experience than most cosmetic doctors in the entire Tampa Bay area. An expert’s expert, Dr. Elliott currently serves as an Expert Witness in Cosmetic Medicine for the Florida Board of Medicine. 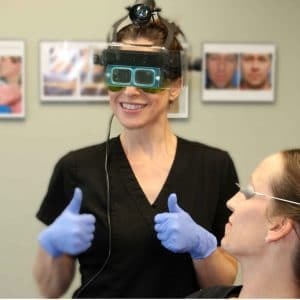 Because of her reputation and experience, she's also been chosen by several aesthetic medical product companies to train other practitioners in techniques that provide safe, effective results. With her combination of experience in emergency & cosmetic medicine, you can be assured you're getting the most effective treatment for your concerns to provide the best and safest results possible. Originally from Chicago, Dr. Elliott obtained her M.D. from the University of Illinois College of Medicine and then completed her residency in Emergency Medicine at Denver General Hospital and the University of Colorado Health Sciences Center. Before attending medical school she was enrolled in the Ph.D. program in Physiological Psychology at Indiana University where she taught and did research. She has been on staff at Bayfront Medical Center, St. Joseph’s Hospital, University Community Hospital, Mease Countryside Hospital and served on the faculty of the USF School of Medicine. Kate Dellangelo, ARNP, who provides virtually every type of treatment at Skinspirations, is originally from the Philadelphia area. She relocated to Tampa Bay eight years ago but she's still got that Philly attitude. Kate is a board-certified Family Nurse Practitioner who previously worked in dermatology and advanced wound care which made her realize that her passion was “anything skin-related”. She’s been providing aesthetic medical treatments since 2012. At Skinspirations, she specializes in injectable cosmetic treatments and all of our laser treatments, including laser skin resurfacing and hair, tattoo, vein and spot removal. Working to help clients to achieve their aesthetic goals is her top priority and her dry sense of humor is just icing on the cake. Corinn Singletary, PA-C is originally from Virginia and earned her undergraduate degree from the University of North Carolina and her Master’s Degree from Barry University. 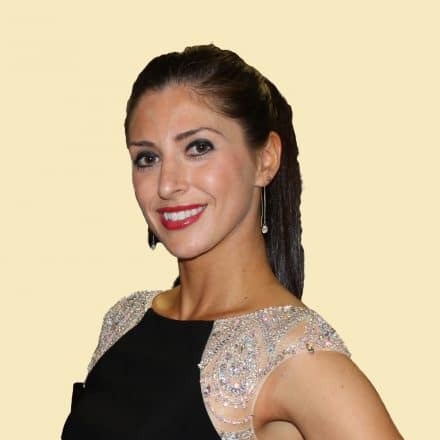 With over 12 years experience in aesthetic medicine, her passion for injectable treatments has made this her exclusive focus for the last 6 years. Corinn is a national trainer and speaker for several companies that manufacture neuromodulator treatments (like Botox Cosmetic), dermal fillers, and cosmetic thread treatments. Corinn specializes in liquid face lifts and facial contouring and enjoys devising a treatment plan with her patients to help them achieve their ideal look. A self-proclaimed perfectionist, she is an expert injector and is known for her meticulous nature. Her aesthetics artistry comes from both experience and an innate sense of observation and symmetry. She is praised for her gentle touch, which is an extension of her empathy and compassion. She takes her time during treatments to ensure both she and the patient are satisfied with her work. Corinn provides treatments at Skinspirations on Tuesdays and some Fridays. To make an appointment with Corinn, call us at 727.571.1923. You'll be glad you did. Stacy Chase, DO, FACOFP, wears so many hats, we don't know how she does it. Dr. Chase is not only the Director of Medical Education and the Program Director of the Family Medicine Residency at St. Petersburg General Hospital, she's also the Chair of the Department of Family Medicine. In addition to her teaching and clinical duties, she’s the mother to not one but two sets of 10 year-old twins and is actively involved in multiple philanthropies. Dr. Chase has over ten years of experience in cosmetic medicine and is also a cosmetic injector instructor. "My only concern with Skinspirations & Dr. Elliott is that if word "gets out" about how phenomenal she is & how she teaches the procedures on a national level to other physicians, I'll have to wait 2-3 months for an appointment!"